As enthusiasts, we enjoy watching livestreams to learn about the latest devices as live events are happening. But if you had the opportunity to actually attend such an event, would you pay to go? 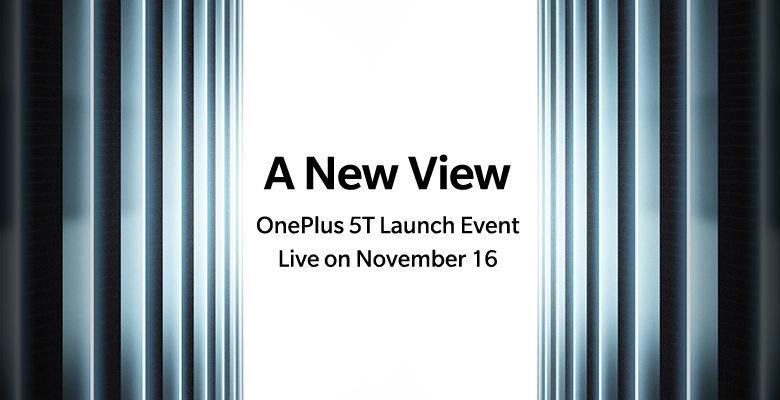 You might want to ask yourself this question, as OnePlus will be offering tickets to its OnePlus 5T unveiling on November 16th in Brooklyn, New York for $40 a pop. The event will take place on November 16th at 11am Eastern time at an as of yet undisclosed location in Brooklyn, one of New York City's five boroughs. Tickets will be available for $40 apiece. Of course, there'll still be an accompanying livestream, but a live experience will allow you to escape the stutters and breakdowns that these livestreams are often plagued with online. Plus, you'll (technically) get the news a few seconds quicker, which might be important to those of you OnePlus fanboys out there. We're not really sure why OnePlus is charging $40, and it seems like some forum users aren't either. It sounds like it could be an interesting business idea, but there has to be some sort of reward other than the opportunity to watch a keynote presentation in person instead of in the comfort of your home. We're speculating that there might be live music and/or some sort of incentive offered to event-goers for the 5T, but nothing is specifically mentioned in the forum post. We've reached out to OnePlus for comment to see if there's any real reason to go to this event. If you're interested in attending the unveiling, tickets will be available starting November 8th at 12pm ET here. OnePlus has replied to us, and says that each attendee will leave with $70's worth of swag (their estimation, not ours). What exactly is included in that number, however, is still unknown. Since we originally reported on this, OnePlus has clarified a couple of details. It actually seems like a pretty good deal now. The $70 in swag comprises a OnePlus Travel Backpack (Morandi Gray or Space Black), a OnePlus Never Settle T-shirt, a OnePlus Hoodie, a OnePlus Cap, a OnePlus Sticker Set, and a OnePlus Notebook. You'll also get hands-on time with the OnePlus 5T, $40 off your 5T order (which will be available before anyone else), snacks and drinks, and face time with the OnePlus team. Not a bad deal for $40, especially since you get a $40 discount back anyway. Plus, the ticket sale proceeds will "go to help the advancement of tech innovation," whatever that means.